A breathtaking drive through sunkissed canyons and undulating rock formations leads to a desert retreat unlike any other. 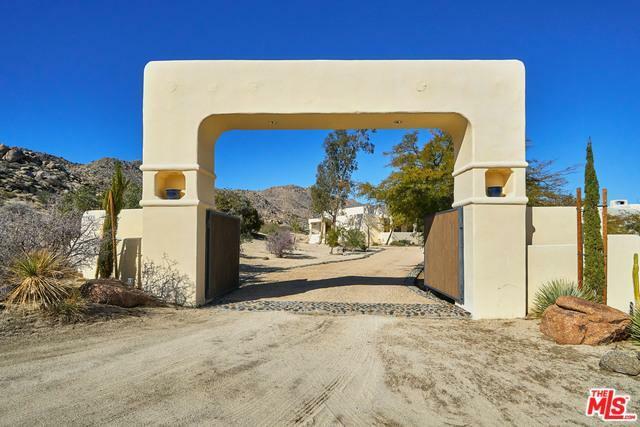 Tucked behind private gates in the mountains above Palm Springs and boasting panoramic views of the Coachella Valley, Gucci House is the grand dame of the high desert. 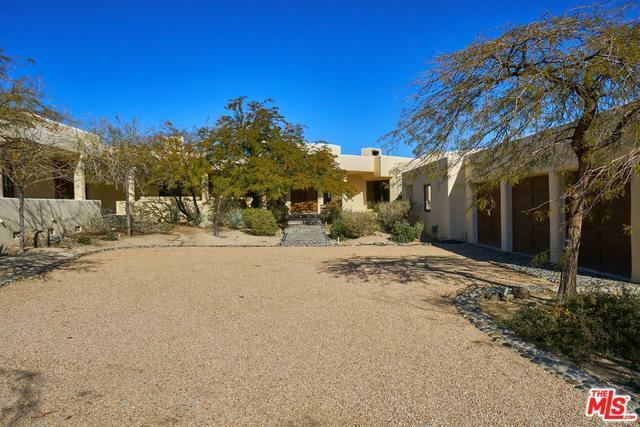 Built and owned by a member of the Gucci family for 25 years, this exquisite 10-bedroom, 10.5-bathroom compound offers absolute privacy and solitude just a short, scenic drive from the shopping and dining of El Paso, often referred to as the Rodeo Drive of the desert. Showcasing nearly 11,000 square feet of living space on 15.63 acres, the home features grand-scale interiors with a gracious indoor-outdoor flow. A large chef's kitchen and numerous patios are ideal for dining and entertaining, with a private sundeck off every bedroom. 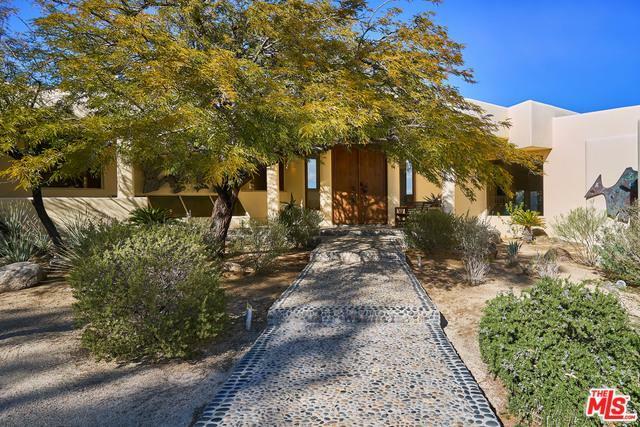 Two deluxe guest houses, a pool, spa, tennis court, and home theater complete this stunning Mojave retreat. Listing provided courtesy of Eric Lavey of The Agency.